Dr. Rapoport and Dr. Schuler take great care at every step of the procedure to make sure your implant placement is precise, minimally invasive and comfortable. You will receive a thorough exam and diagnostics. The first step is a full oral exam to assess your teeth, bone, and gums. 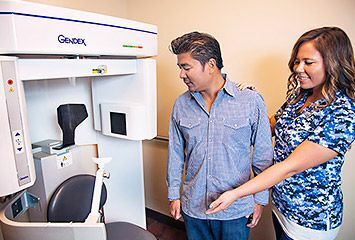 The doctor will also take a full set of digital X-rays and a 3D CT scan of your teeth and jaw. The scan images provide detailed 3D views of your teeth and supporting bone. 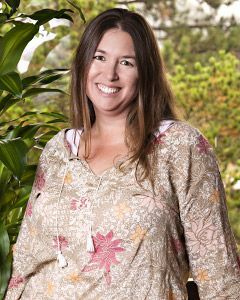 Dr. Rapoport or Dr. Schuler will meet with you to explain the results of your exam and to discuss your treatment options. He will tell you if you are a candidate for same-day dental implants and tooth replacement. 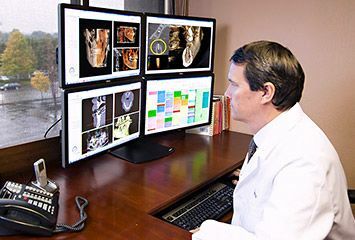 Our doctors will meticulously plan out your treatment using special 3D implant planning software. Our doctors use your 3D CT scan images to precisely plan the placement of your implant in special dental implant planning software. They can do this for one implant or for a series of implants at the same time. If you need a tooth extracted, your doctor will use a unique, high-tech protocol developed at our office, which allows him to remove the tooth without damaging any gum or removing any bone. There is no bruising or swelling during the extraction. This preserves the structure of the tooth socket and makes the final result more aesthetic. It also makes for a comfortable procedure and eliminates the need for bone grafting in most cases. If your tooth has just been extracted, the doctor will place the implant in the small opening left by your extracted tooth. Our doctors use only top-quality implants that are stable and will not break. Your doctor will place a functional temporary crown, bridge or full set of replacement teeth on your implants. 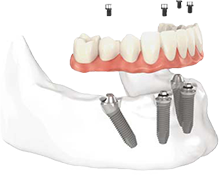 The implants and temporary teeth are made to precisely fit together so there are no gaps between the implants and artificial teeth to allow food or debris to collect. Your new restoration will also be designed to align perfectly with any adjacent teeth so that there are no food traps between your replacement teeth and your natural teeth. 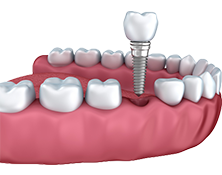 If any bone grafting is performed along with your implant placement, instead of a functional replacement tooth, the doctor will use a custom implant cover to completely seal the implant while it heals. While not functional in terms of biting and chewing, this custom cover will mimic the shape of a natural tooth and will make it look like you had no missing tooth in the first place. Due to the high-tech extraction performed by our doctors and the perfect fit of the temporary crowns and covers after your implants are placed, your implants heal quickly. Average healing time is six to twelve weeks. 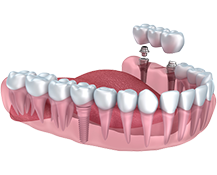 Once your implant has healed, your final restoration is placed. You will have high-quality and well-fitting final new set of teeth that are durable and look very natural.